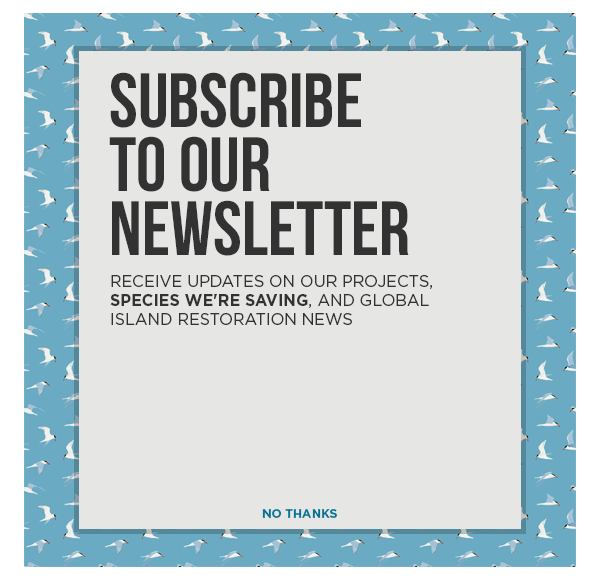 Conservation efforts could return Lehua Island to the safe nesting habitat it once was for the Bulwer’s Petrel and many other native Hawaiian seabirds. Soaring over the sea to nest on remote islands, the Bulwer’s Petrel is a seabird spread throughout the world, from the Azores Islands, Portugal to Lehua Island, Hawai’i. The small gray bird is known for the surprising noise it makes. Rather than a chirp or squawk like one may expect from a seabird, Bulwer’s Petrel chicks make a barking noise. The bark is similar to that of a small dog. The Bulwer’s Petrel nests in crevices on islands throughout the world but spends most of its time at sea eating small fish. Like many seabirds, the Bulwer’s Petrel is loyal to its nesting site and will return yearly to the same location with the same mate. Many Bulwer’s Petrel populations are threatened by invasive predators such as rats and feral cats. On Lehua Island the native bird is under severe predation pressures by invasive rats, which makes nesting for the barking birds unsafe. This is a problem for many seabird species throughout the world in cases where invasive rodents have been introduced to islands and decimate native populations. Lehua Island is just south of Kaua’i and these native birds will soon have a fighting chance thanks to conservation efforts underway to remove invasive rodents. Lehua Island offers ideal habitat for not only the Bulwer’s petrel but also the Endangered Newell’s Shearwater and the Vulnerable Hawaiian Petrel. Removing the invasive rodents is a crucial step in returning the island to its status as a safe seabird nesting ground. There is hope that the Bulwer’s Petrels bark will ring through the air on Lehua following successful conservation intervention.